Performance California-Style Mayo Instrument Stand. 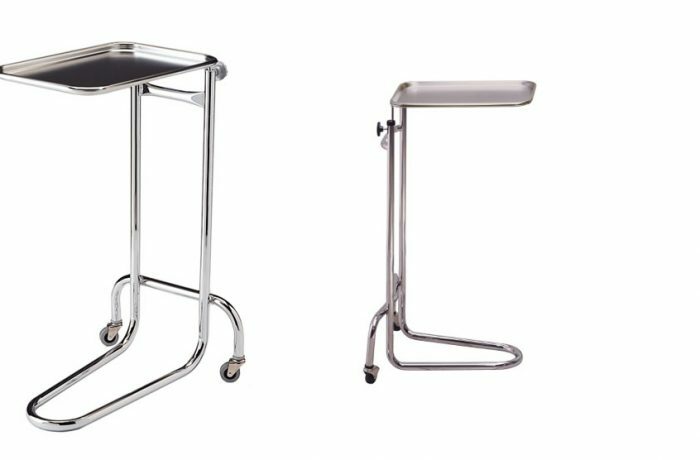 California-style base for easy positioning.. 1 inch chrome-plated steel tubing.. Two rubber wheel, ball-bearing casters.. Removable stainless steel tray: 19.25 inch x 12.62 inch x .75 inch. Adjustable height from 34 inch to 53 inch.. Base: 20 inch wheels, 19 inch diameter. Not Made With Natural Rubber Latex.